You’re about to marry the most unique and incredible person in the world. Your wedding will be completely personalized, maybe with an interesting theme, your own hand-written wedding vows, or even a choreographed wedding party line dance at the reception. 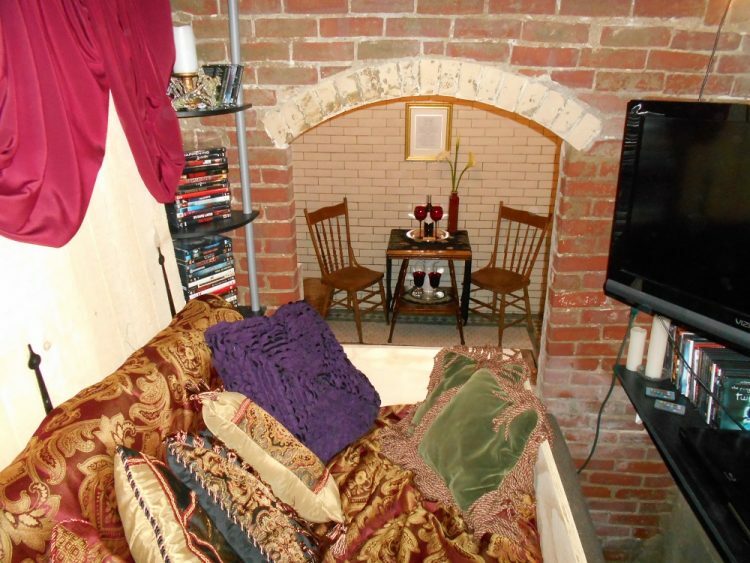 So why not spend your wedding night in a suite as outrageously awesome as your love is? Resorts are so yesterday. 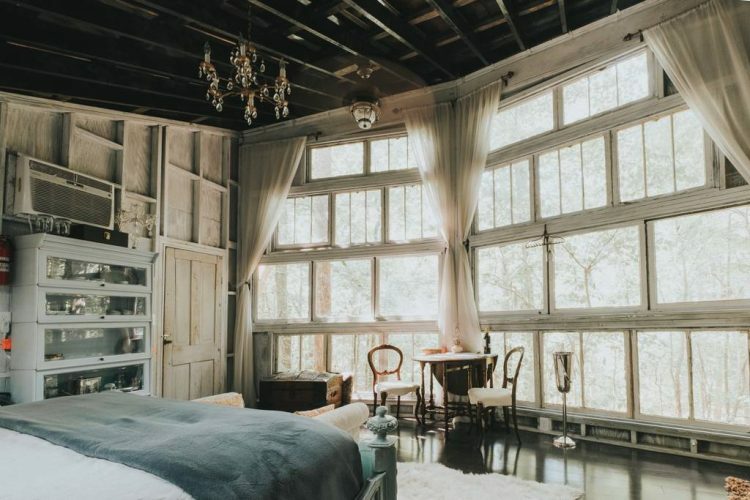 Couples today are looking to scratch things off their bucket list, and what could provide better memories (and bragging rights) than spending your first night as a couple in a castle or a luxury treehouse? 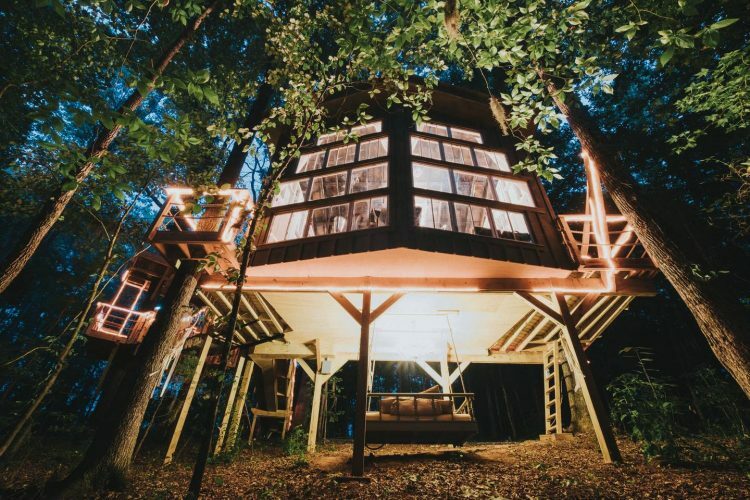 Imagine your own “vintage royalty” treehouse located on 40 secluded acres in South Carolina. 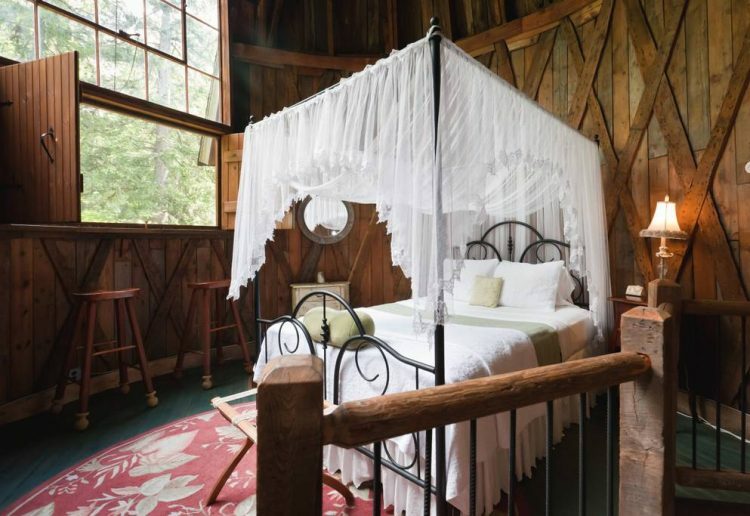 This exotic luxury treehouse has been decked out with a hand-painted antique bed, a two-person hammock, and over-the-top romantic surroundings to complement your new marriage. 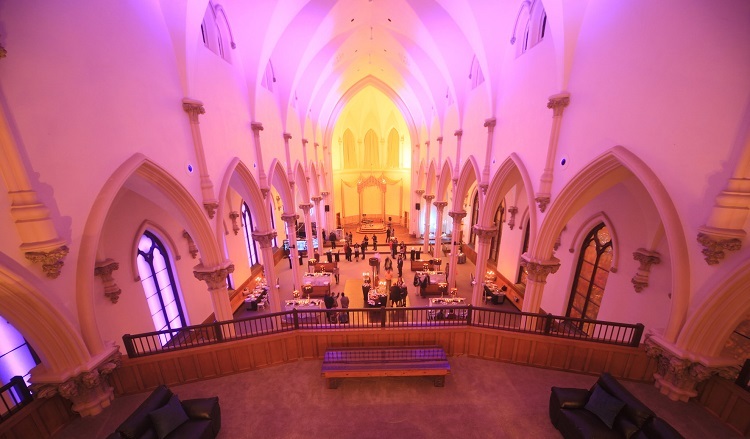 This former Catholic Church, which is also the tallest building in Maine, now hosts weddings as the Agora Grand Event Center. 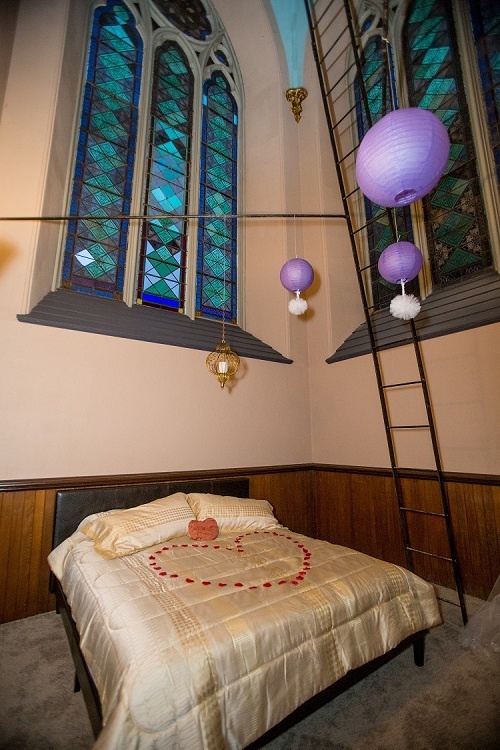 The former choir balcony has been converted into a swanky two-level lounge overlooking the gorgeous Reception Hall, and the adjacent tower room is now a romantic honeymoon suite boasting original stained glass windows and a whirlpool tub. 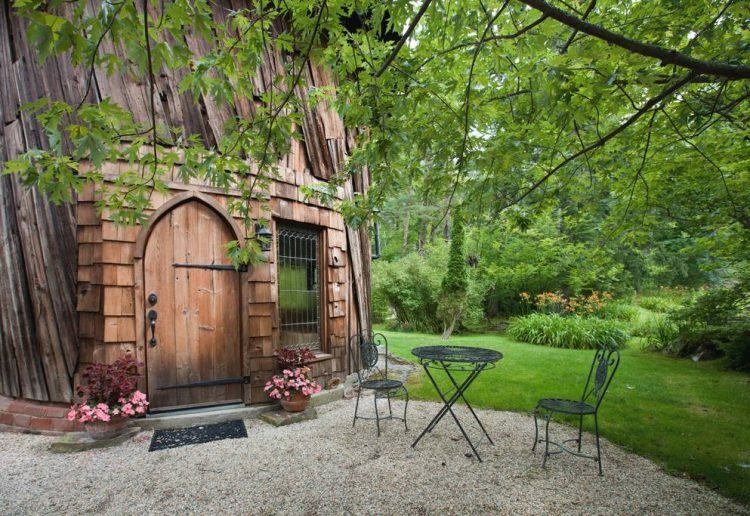 This former silo in Massachusetts has been converted into a quaint, super-cute suite. 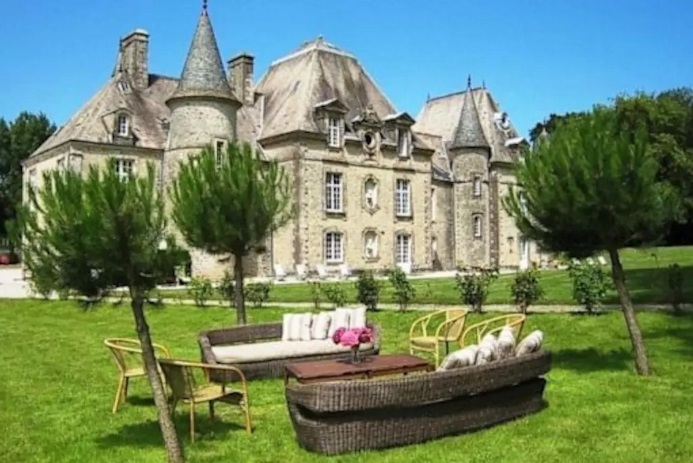 Complete with a Smurf-esque medieval front door, it has two floors with a 35-foot conical ceiling, a romantic canopy bed, and landscaped gardens surrounding a babbling brook. 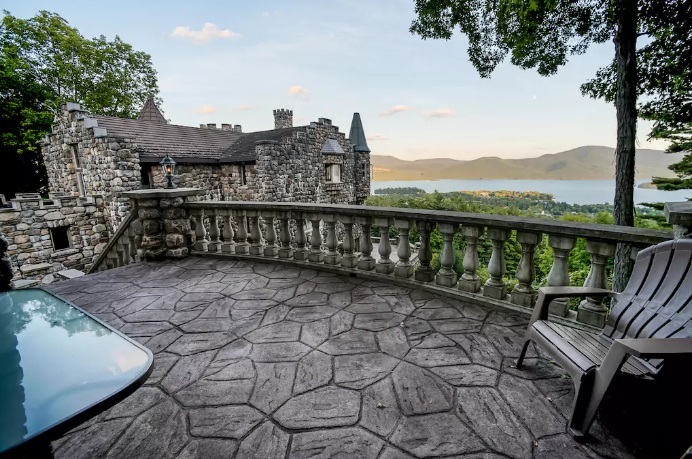 You provide the fairy tale and they’ll provide the castle at this incredible mini-castle overlooking a picturesque lake in New York. Providing all the comforts of home and a gorgeous patio with fantastic views, treat your prince or princess to a memorable evening. 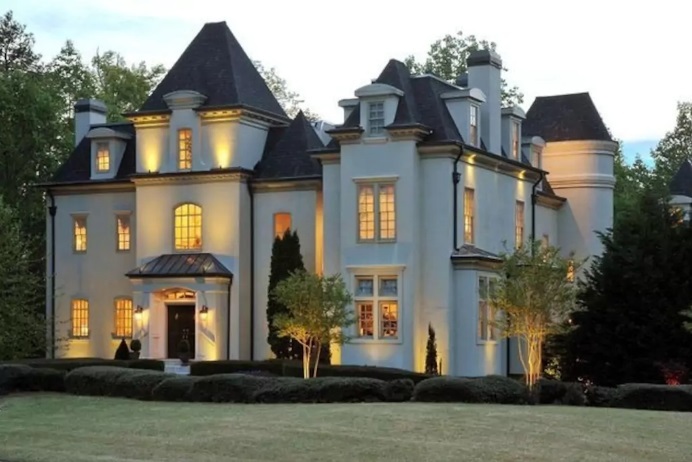 This 11,000-square-foot castle-like mansion in Georgia was just too amazing not to mention. Tastefully furnished, elegantly decorated, and providing every conceivable amenity from a gourmet kitchen to an enormous pool and spa, it may be a little too big to share with only your new spouse, so invite the whole wedding party! OK, so this mesmerizing ice hotel in Quebec, created entirely from ice every year, isn’t actually in the U.S., but it’s a short two-hour drive north of the border. 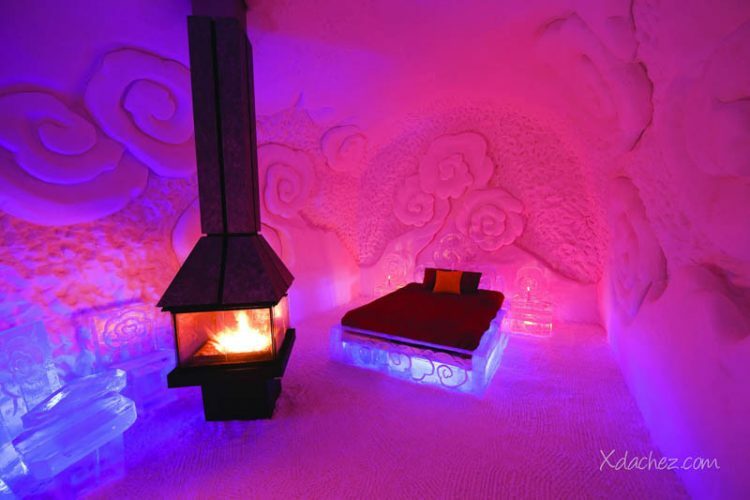 Each of its 44 rooms has a different theme and its honeymoon suites include beautiful ice carvings. Get married in the ice chapel and then head over to the bar for a cocktail served in – you guessed it – a glass made of ice. 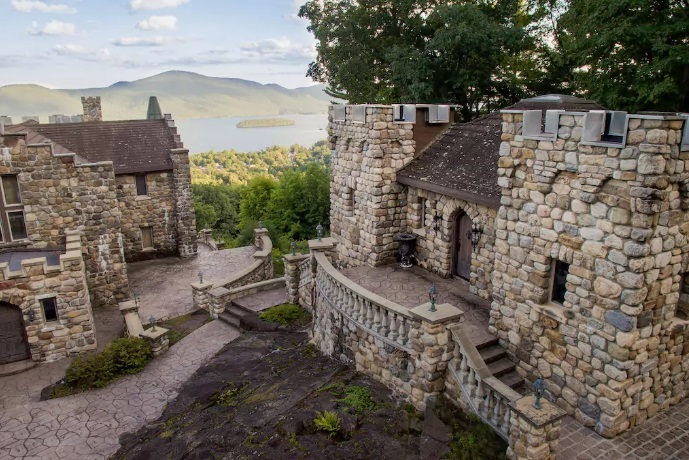 This actual crypt, located about two hours south of Stephen King’s home in Maine, is now a crypt hotel room where daredevils and horror film aficionados can experience a one-of-a-kind adventure. 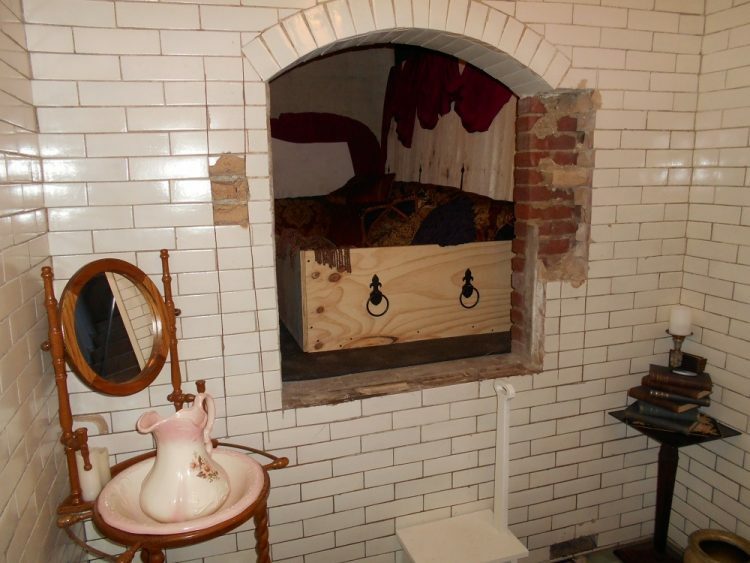 Decked out with a cozy two-person coffin, a selection of classic horror films, and a creepy gate to keep out the evil spirits, the Hotel Crypt is the Halloween-lovers’ dream. This unbelieveable cave hotel in New Mexico is located in sandstone about 300 feet below the surface. Offering a true bucket list experience with well-appointed rooms and amazing views, Kokopelli’s Cave will provide an unforgettable romantic experience. Sure, some hotel rooms have aquariums with fish, but this super-cool underwater hotel is more like an aquarium for the fish. 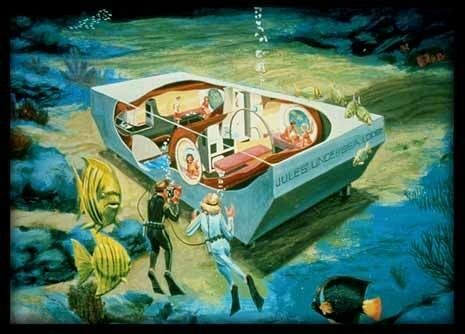 There are underwater hotel rooms throughout the world that are much more luxurious, but Jules’ Undersea Lodge in Key Largo, Florida, is unique in that the only way to access it is in scuba gear!